Heat oven to 350°F. Mix brown sugar, shortening, vanilla and eggs in large bowl. Stir in flour, oats, baking powder and baking soda. Stir in cereal and peanuts. Shape dough by rounded teaspoonfuls into balls. Place about 2 inches apart on ungreased cookie sheet. Flatten slightly with greased bottom of glass dipped in sugar. Bake 10 to 12 minutes or until set. Cool 1 minute; remove from cookie sheet to wire rack. Dip half of each cookie in melted chocolate candy coating (almond bark) for a doubly delicious treat! 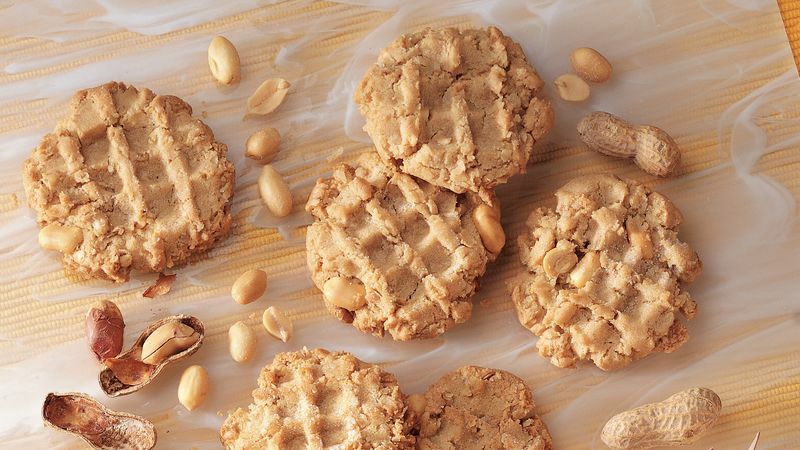 Use honey-roasted peanuts instead of the salted peanuts for a honey-kissed flavor.